The Supreme Court upheld the acquittal of an ex-Army officer in the murder of a businessman. Lt. Col. SJ Chaudhary was accused of sending a bobby trap bomb as parcel to a prominent businessman in Delhi, Kishan Sikand, which when opened by him, exploded resulting in his instantaneous death. The CBI investigated the case and he was tried and convicted by the trial court. The Delhi High Court had set aside the trial court judgment, thereby, acquitting him. Taking a stern view over violation of undertaking by the petitioner, the Supreme Court forfeited the deposit of Rs.86 lakh towards penalty for the defiance. The court slapped RitikaAwasthy with the penalty amount as she failed to return to India from London, despite the undertaking. Supreme Court allowed Christmas and New year celebrations at Shivaji park ground in Mumbai. A The bench headed by CJI TS Thakur authorised the Shivaji Park Gymkhana to use 900 sq yards of land of the Shivaji Park on December 25 for the purposes of conducting a magic show for children and on December 31 for hosting a “fund raising dinner”. The apex court has also allowed the setting up of a temporary dais on the ground. The permission has been given for a limited period on Christmas and New Year ’s Eve, from 7pm to 10 pm. 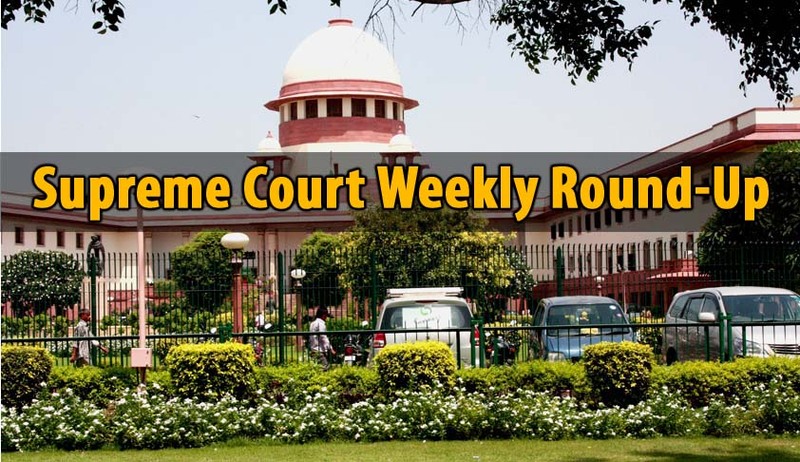 The vacation bench of the Supreme Court on Friday refused to entertain a plea which sought staying of the move to elevate Justice Jagdish Singh Khehar, the second senior most SC judge, as Chief Justice of India.